I can't believe it has been over 2 years since I graduated from college! I always loved shopping for a graduation dress, so I sort of pretended I was graduating again this year while I put this post together. I only did the traditional white dress thing for my college graduation, which is why I wanted to include some fun prints that still have a white base. If you happen to be graduating from high school, college, or grad school (maybe even middle school?) I hope this post may help you out. 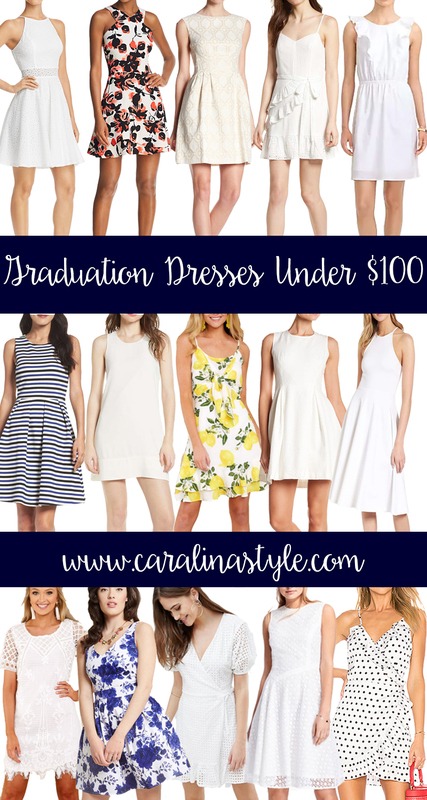 I tried to avoid any off the shoulder or cold shoulder detailing that would be awkward to wear under a graduation gown, and most importantly, kept them all under $100!